Born in 1767, eight years before Jane Austen, Edward was certainly the most fortunate of her six brothers. 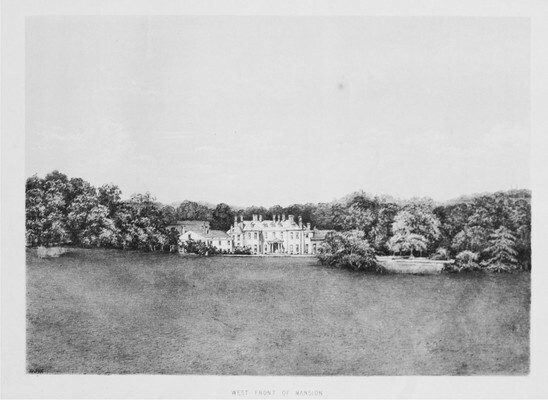 In 1779, he first met Thomas Knight (1735–1794), a rich distant cousin of the Reverend George Austen, and Thomas’s wife Catherine (d. 1812), when they visited the Austen home during their honeymoon. Edward must have made a good first impression, because he was then frequently invited to stay with Knights at their splendid estate, Godmersham Park, in Kent. In 1783, he was officially adopted by the childless couple. After making a four-year Grand Tour and attending Dresden University for a year, he married Elizabeth Bridges in 1791. On the death of his adoptive father in 1794, Edward became heir to all of the Knights’ estates, including Chawton House and the Manor Farm in Hampshire, as well as Godmersham Park. In 1798 he took over full control from his adoptive mother; she moved to Canterbury while he and his growing family moved from Rowling House, Kent, into nearby Godmersham. Edward’s wife died suddenly in 1808, after bearing eleven children; Edward never remarried, and on the death of his adoptive mother in 1812, he changed the family name from Austen to Knight. He remained at Godmersham until his death in 1852, outliving Jane Austen by thirty-five years. Some eight miles southwest of Canterbury, Godmersham Park is a fine Palladian building, dating from about 1732. Its extensive grounds include woods and a large deer park. It was built for Thomas Knight, father of the Thomas Knight who adopted Edward Austen, who had changed his name twice: from Brodnax to May and then from May to Knight. Shortly before his death in 1781, Thomas Knight senior added two matching wings, each with five windows, to the front of the house; the western wing held a kitchen and household offices while the east wing housed a long library. When Jane Austen’s brother, Edward Austen Knight, died in 1852, his heir, Edward Knight junior, inherited Godmersham, though he lived at another of the Knight estates, Chawton House in Hampshire. In 1874 he sold Godmersham, which has since had a succession of owners. The house survives today, but the library, regrettably, is no more. It was in ruins by 1920, when H. Avray Tipping described it as “abandoned and decayed,” although it still contained three immense bookcases in their original positions. Later in the twentieth century, the bookcases were removed and the library divided into a series of rooms, which are now used as offices by the Association of British Dispensing Opticians. The Library at Godmersham Park housed the books collected over some two hundred years by the Brodnax (later May and then Knight) family, who had owned the Manor of Godmersham since 1590. In 1793, it was described in a guidebook by Zechariah Cozens as “a most excellent library.” When he moved to Godmersham in 1798, Edward Austen Knight inherited a collection of some 1,200 books (many of these in multi-volume sets), to which he and his descendants continued to add. It contained standard works of English, French, and ancient Greek and Roman literature, as well as books in Italian, Spanish, and German. Some of the books published on the Continent were purchased by Edward during his Grand Tour of 1786-90. The library was well stocked with biographical, historical, geographical, theological and travel writings, as well as books about architecture and painting, science and medicine, farming, horsemanship, agriculture, gardening, landscape, and leisure pursuits, such as treatises on whist and chess. Reference works included sets of periodicals, dictionaries, atlases, and parliamentary records. The range is typical of country-house collections of the time, although the number of novels, including ones by Jane Austen’s contemporaries and recent predecessors, is surprisingly high. After the death of Edward Austen Knight in 1852 and before the eventual sale of Godmersham Park in 1874, Edward Knight junior moved the books to the library at his Hampshire estate, Chawton House, where they were combined with the books in his own collection. After Edward junior’s son Montagu George Knight inherited Chawton House in 1879, he had hand-made shelf tickets attached to the books, indicating their positions on the library shelves. In 1900, he also began affixing his bookplates, of which he had three, to many of the volumes, thus helping us to identify them today. After the death of Montagu George Knight in 1914, the library was gradually dispersed by succeeding generations. Many of the books listed in the 1818 catalogue are missing in a new catalogue compiled in 1908. Some fifty items were dispersed at a Sotheby’s auction of 9 July 1935, and further volumes were sold piecemeal in the latter part of the twentieth century. Nonetheless, well over a third of the works listed in the catalogue, about five hundred titles in all, are extant in the present-day Knight Collection, on loan to Chawton House Library from their owner Richard Knight, the great-great-great-grandson of Jane Austen’s brother Edward Austen Knight. Content from the Reading with Austen website.